A near-derelict Highland croft might not seem the obvious choice for a change of lifestyle, but Sara instantly spotted the potential of the single-storey dwelling when it came up for sale. The oldest house in the village of Ardfern, on the shores of Loch Craignish, it was built in 1780 and extended in the 1950s into a three-bedroom cottage with an animal byre added at the side. Sara stripped the house back to its bare walls and removed a wall between the kitchen and living room to create a large kitchen-diner, also taking out a 1950s corridor wall and adding French doors to allow more light in. The former animal barn was then turned into a bathroom with a door to the bedroom. Complete with salvaged vintage fittings, it looks as if it has always been there. 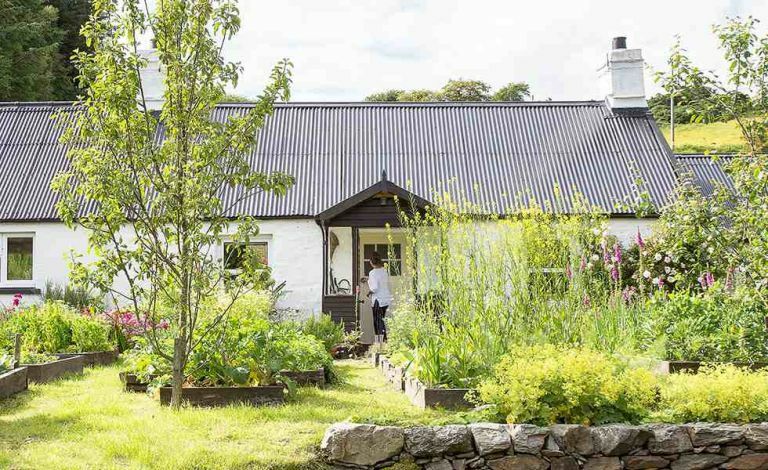 Now surrounded by a quintessential cottage garden, the little crofter’s cottage has come a long way from that unloved wreck on the side of the road.